Hi everyone! 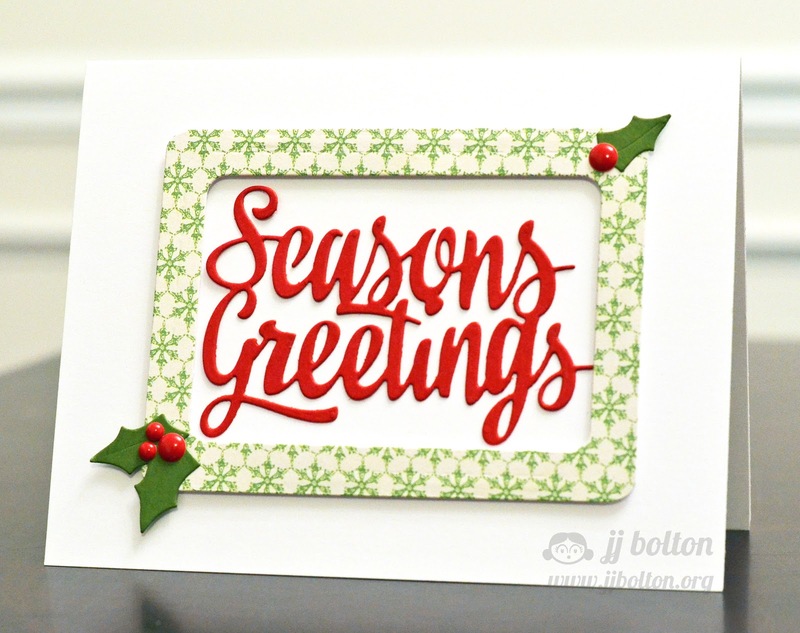 Thursday means that I've got an Avery Elle project:) Today I'm highlighting the new Seasons Greetings die! Isn't that font fantastic? For this card, I really wanted to focus on that gorgeous die cut word. (BTW, I just realized I forgot to add the apostrophe in "Season's", oops! I'll have to go back in and add it;) The word just happens to fit perfectly in the frame that you can create with 2 dies from my new set, We R Family. There is an outer die that cuts a Project Life-sized 3X4 rounded card and there is a separate die that cuts a smaller rounded rectangle. It's hard to see, but the smaller die also has an embossed stitch around the outside of the cut (yeah, it's a totally different concept that I'll have to show you on another day:). To finish off, I added some die cut leaves with some enamel berries. This design would be great to mass produce if you've got a lot of cards to send out! Such a beautiful holiday card that can easily be mass-produced!! Love the font on the sentiment die-cut! Now I'm regretting not ordering that die! I love the sentiment and I love that it is all attached. So pretty! Looks like I'll have to order that die, too! And yes, that's a gorgeous font! Absolutely GORGEOUS card, JJ! The font on this sentiment is so beautiful, and I love how it fits perfectly in your frame! Love your traditional color combo, too! I adore everything about this card, JJ! Love the boldness of the whole design, the perfect patterned paper, the traditional colors... everything! 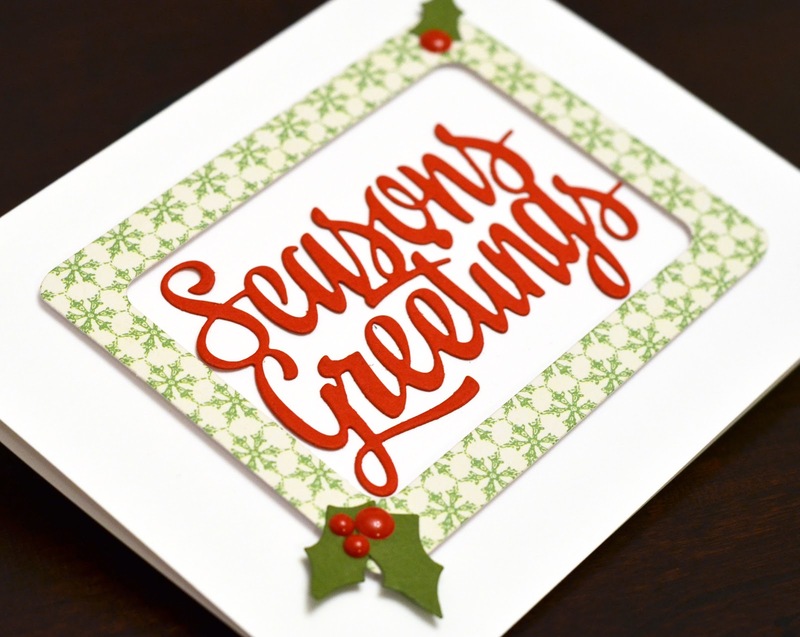 Yes, that font is gorgeous and your card is PERFECT!